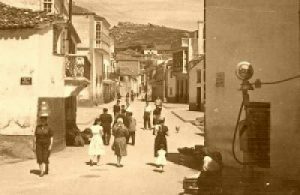 I have to admit it, if we talk about Malpica de Bergantiños it is either black or white: you will either love it or hate it. For me, there is no doubt, I love it and it is hard for me to understand those who don’t like it. That’s why, after talking about it for so long, I have come to the conclusion that the only option is to come and see for yourself. 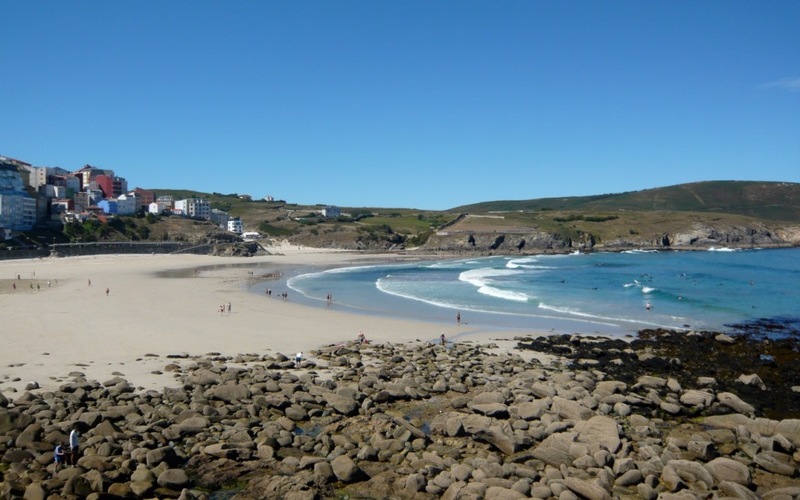 It is not because of its buildings: there is not much left from the original fishing village and Malpica is very far from being one of those “cute little villages” where you will take pictures in every corner. 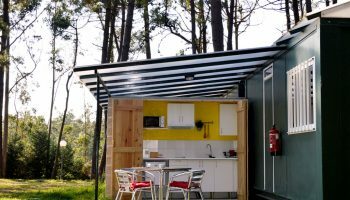 As it happened in many other parts of Galicia, real estate speculation from the 70s onwards and an “eclectic” taste (to call it somehow, without offending anyone), have turned Malpica into another example of “feism”. 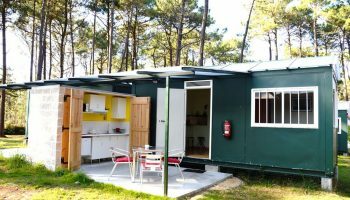 But the truth is that although it might be ugly, there is authenticity in Malpica. 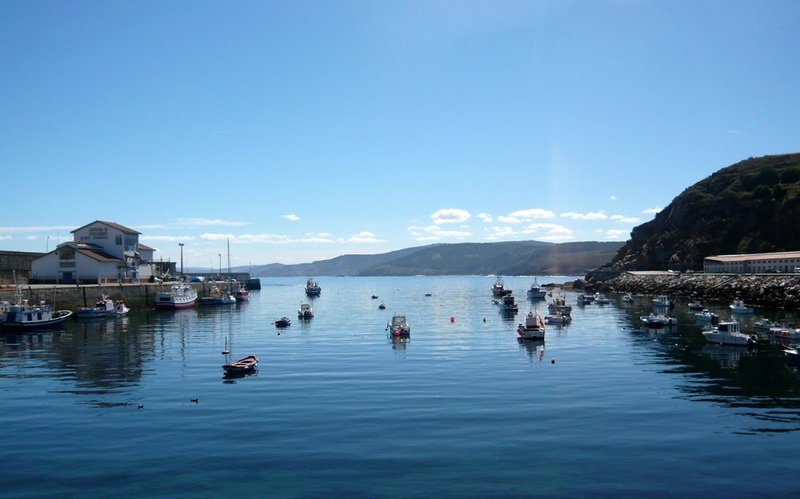 Although it does get a good amount of tourists in the summer, it is a village that still lives from the sea, from fishing, and it is a place that does not pretend to be anything but has a lot to offer, if you keep your eyes open. The village is located in a peninsula and its clearly divided in two by the main road: to one side is the beach and to the other, the port. This is the starting point of “Costa da Morte” (Death Coast) and the sea surrounding us can sometimes be harsh. In fact, it is said that during the worst storms of the winter, the sea can cross the village from one side to the other. Directly at the village you can find Areia Maior, a sandy beach. It can get busy, especially in August, but it is very nice. If you are looking for secluded beaches there is plenty to choose from nearby. As in most of this area, the sea can be wavy and this beach is well known for surfing. When you come back, I recommend making a stop at one of the many terraces you can find on the promenade. 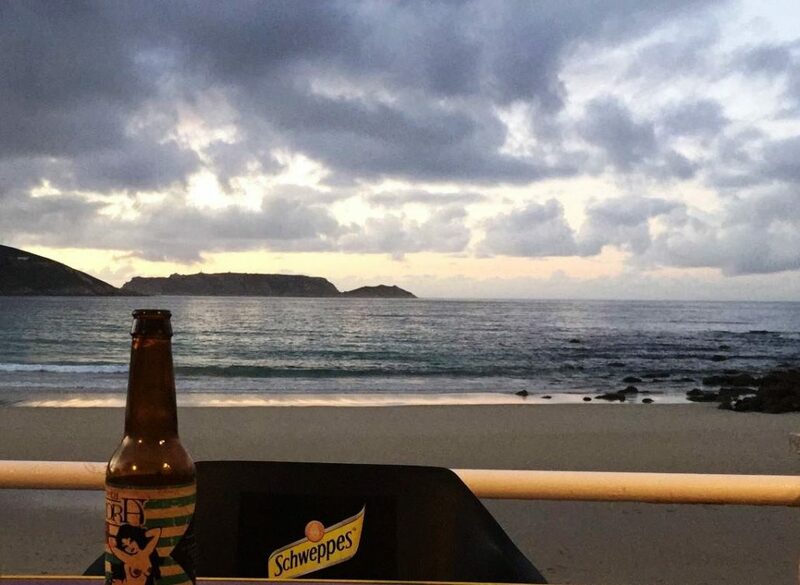 For me, it is very nice to enjoy the sunset with a nice cold artisan beer or a Godello white wine, and once the night sets, it is quite impressive to see the light of the lighthouse shining from the islands. It never stops shocking me to think that the lighthouse was built in 1915 and no long ago, the keeper and his family would still live there for weeks. To the other side of the village, you find the port. 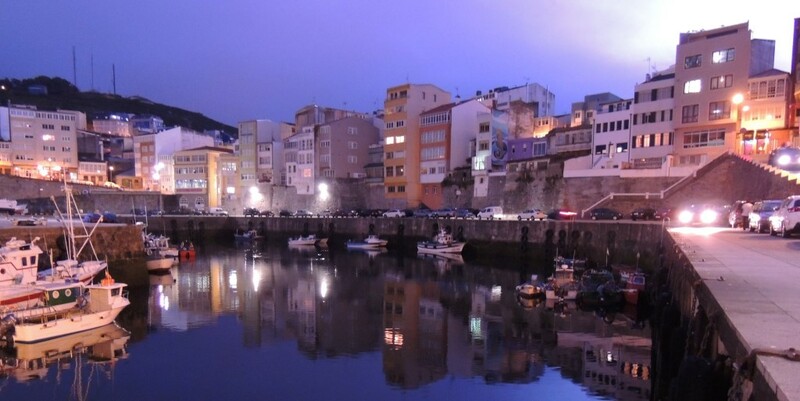 As all ports, I guess, the port of Malpica is magical. The coming and going from boats, the dock where boats are painted and fixed, the fishing items lying here and there, the sound of the seagulls. I like to watch the men (It is always men) on top of a ladder, painting a huge boat with a brush. In 2009, the port was remodeled and I think they did a great job: there are nice places to sit around, enough space for the kids to run and it created new angles to explore the coast. On the port, you can find the fish market. It probably won’t last long like it is today, so we need to enjoy it while it lasts. Because here is one of the few places in Spain where the fish auction is done by voice (and not with some machines). The auction is done around 5 PM and it is worth having a look, trying to understand what is going on and buying some fresh fish to make an amazing BBQ (although you will have to buy right outside the market, because inside is only for members). 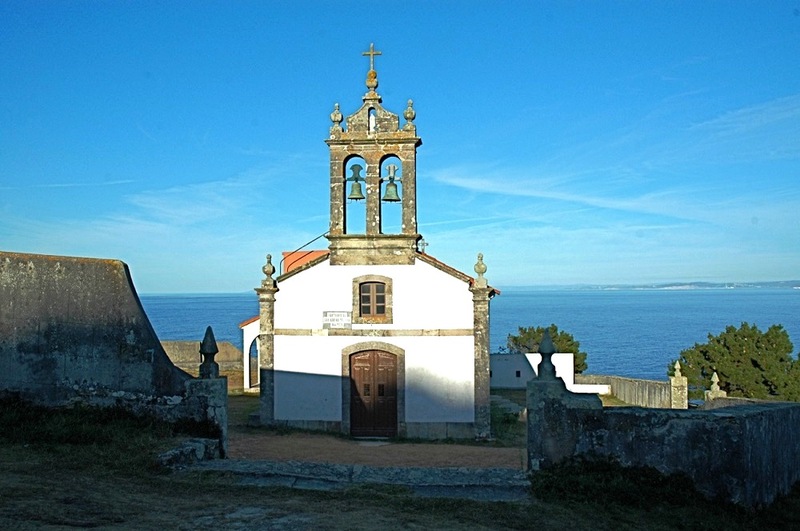 At the entrance to the port you will see a Casa do Pescador. 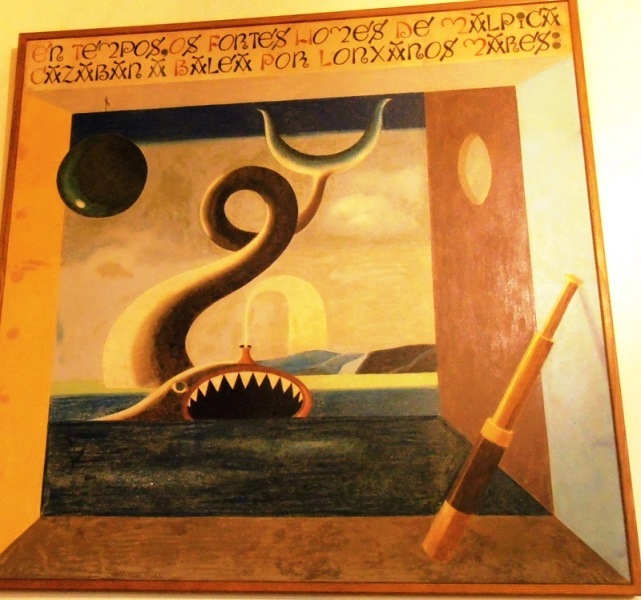 It has a restaurant on the ground floor and inside there are some paintings by Urbano Lugrís, a painter you definitely need to check out if you don’t know him yet. The whale sculpture you will find at the port is inspired in one of his paintings. As it always happens with legends, I don’t know how true this might be, but did happen to me. A friend of mine says that if you touch the whale’s head from one side to the other and back, at some point of your life you will return to Malpica. Or maybe it was the teeth, I don’t remember exactly. I always touch both, just in case. 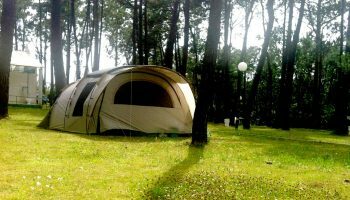 If you are sleeping at camping Sisargas, Malpica is only 2,5 kilometers away. By car, take the main road and it will be a 5 minute ride. Usually, there is place to park at the port. If you prefer to walk or cycle, there is a route right by the coast, away from the busy road, and it takes a bit over half an hour walking. But take into account that when you arrive in Malpica there is a slope down, about 100 meters long but quite steep. It is nice to go down but you have to go up again! 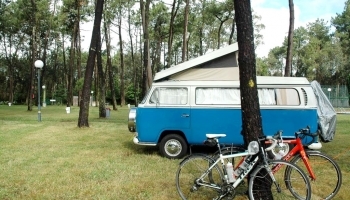 You can download the route in our wikiloc , or you can check it out at the tourist information point of the campsite. 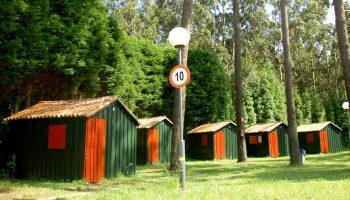 You can also get to Malpica by bus: the stop is only 100 meters from the campsite and the bus runs 5 times a day. 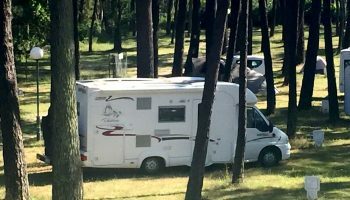 You can check the times at the campsite or at the web of Arriva Noroeste.